Pregnancy, childbirth and breastfeeding are some of the greatest experiences we have as women. That said, having children changes our bodies profoundly, often in irreversible ways. Our skin can stretch out and our abdominal muscles can separate permanently. All the diet and exercise in the world cannot undo the biology that brought us these precious babes. Don’t get me wrong! A healthy, active lifestyle is important, and a Mommy Makeover gives us the extra help we need to regain our pre-pregnancy body confidence. In this post, we tackle the question – How much does a Mommy Makeover cost? During this plastic surgery procedure, you will be under general anesthesia by qualified certified providers in the operating room. This ensures your safety and comfort in surgery. A Mommy Makeover can involve one or multiple procedures, such as liposuction, tummy tuck and a breast lift or breast augmentation. Depending on how extensive your surgery is, anesthesia cost can vary often between $800 and $2,800 for a Mommy Makeover. As you look for the best plastic surgeon for your needs, the quality of their operating room is incredibly important. Ideally your board-certified plastic surgeon will operate in a AAAASF certified operating room. There are costs associated with updating and maintaining these top facilities and equipment, but that is critically important to ensure your safety during the procedure. Mommy Makeover cost for the the operating room can range from $800 to $3,200 depending mainly on the procedures that will be performed. Surgeon fees can vary quite a bit for a Mommy Makeover, resulting in a wide cost range. The number and type of procedures are tailored specifically for your needs and goals. 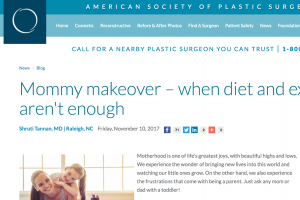 A Mommy Makeover typically includes some combination of the following: tummy tuck, breast lift, breast augmentation, breast reduction, and liposuction. Interestingly the lipo can be on your thighs, arms, belly or bra roll, or a combination. Your body stores fat more efficiently during pregnancy and that is harder to shed, so the lipo “wand” is helpful to sculpt and shape your silhouette. The surgeon fees cost for a Mommy Makeover range from $3,000 to $7,000. 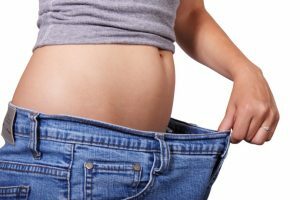 Liposuction vs Tummy Tuck - Which is Right for Me? Researching the average cost for a Mommy Makeover is a great idea, but keep in mind that some sources may not give you an accurate “all in” estimate. Sometimes, you’ll only be given the surgeon fees. Remember, that does not include the cost for facilities, equipment (like breast implants) and anesthesia. We created the Plastic Surgery Cost Calculator to provide more accurate price ranges for Mommy Makeovers, liposuction, tummy tuck, breast augmentation and others. The Plastic Surgery Cost Calculator is an interactive guide for the most popular plastic surgery procedures. Being a mother is one of the most beautiful things in the world. Trust me, we know – just ask your local female board-certified plastic surgeon Dr. Tannan or any single member of her all-female OR and clinic team. A Mommy Makeover can provide that extra touch so you can reclaim your post-pregnancy body. As you look at financing options and overall cost, just remember that price is not the only factor. The best plastic surgeon in the Triangle for you needs to be someone who can understand what you are going through, and this person should be someone you can trust. Come see us at Tannan Plastic Surgery in Brier Creek of Raleigh, close to Cary, Apex, Morrisville, Durham, Chapel Hill, Wake Forest, Garner and surrounding areas. Don’t just take our word for it. See what others have had to say about their experience! Schedule your Mommy Makeover consultation today.